I'm going to take a lot of heat for what I'm about to say. While no manufacturer can expressly admit it, behind closed doors, deep within the bunkers in Detroit, Munich, Stuttgart, and Tokyo, most engineers will nod in agreement. With enough soul searching, quite a few of my fellow automotive writers will find themselves agreeing, too. The visceral allure of the manual transmission as we know and love it isn't dying. It's dead, and has been for a long time. We were just too busy trying to save it to notice. Today's manual transmissions are little more than a status symbol, a romanticized piece of performance heritage kept on life support by the misplaced devotion of car guys. The time has come for them to go. There. I've said it. Go ahead and call me a blasphemer, a traitor to the cause of the Manual Transmission Preservation Society, a car guy non grata. I tore myself to shreds to reach this conclusion. I threw out everything I thought I believed about cars and found what's at the core of the third pedal's existential crisis: our own delusion of purity. Forget superior performance and fuel economy; those flew out the window a long time ago. Instead, the manual has continued to rest on its laurels as the most pure driving experience. In truth, it's an illusion, and it's time to face reality. ... or even something from the 1980s, if that's what floats your boat. There's a sharp bend up ahead. You ease onto the brakes, and through the ball of your foot, you feel the tires' fight against the laws of physics as they struggle to grip the road. You need to downshift. Pushing in the clutch, you know instinctively when it's time to change gears, thanks to nothing but mechanical linkages connecting your foot to the powertrain. You move the gearshift from third gear, down, over, and down again into second. Simultaneously, you kick out the heel of your still-braking right foot and stab at the throttle, sensing when all the powertrain components are spinning at the same speed. You let off the clutch, feeling all the parts engage with one another and do their thing. Accelerating away after the corner, the vibrations coming through the gearshift tell you in concert with the mechanical symphony of the engine that it's time to shift. That is the essence of driving nirvana. That's why I and so many of you grew up so fond of the manual transmission. 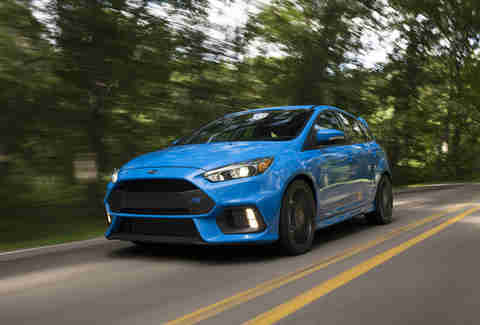 If purity means to maintain a laser-like focus on the original purpose, if purity means an unadulterated driving experience, then today's manuals are anything but. Have no idea what I'm talking about? Put your headphones on and pull up C'était un Rendezvous, the classic French short film with almost no sounds, except those of a Ferrari 275 GTB as it tears through Paris. Don't even watch. Just close your eyes and listen during the downshifts, just hear the gloriously connected sounds. Truly, it's a slice of vehicular heaven, and it captures the joy -- the pureness -- of driving an older car with a manual transmission. Now listen to a modern muscle car during shifting, and you'll sense a much more muted visceral experience. Not bad, per se, but not even remotely like it once was. You can pick virtually any car made today with a manual transmission and get the same result. So what happened? The Cult of the Clutch stems from decades of dominance in two key areas: performance and fuel economy. For the entirety of the 20th century, the automatic lagged far behind. Performance is passion; it drives innovation, and for serious car people, manual transmissions held a hegemonic grip on our hearts. Even today, they're so often the difference between a truly collectible old classic worthy of restoration, and a forgotten appliance built for the masses. For the gone-but-not-forgotten of the automotive world, that will never change. But for the cars of the automatic era, there's simply no going back. It's hardly a secret that today's automatics* offer superior fuel economy. 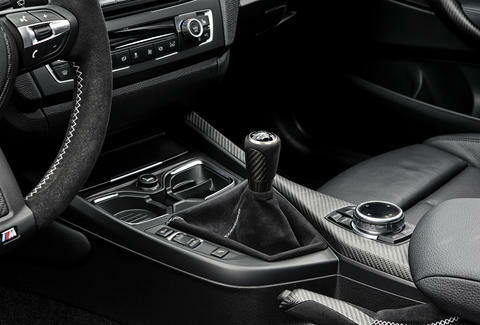 This paradigm shift ultimately bore an insurmountable obstacle in the marketing for manual transmissions, hastening the disappearance of the manual from more than a few option sheets. Your eccentric college professors in manual Echos and Civics, who cared more about pinching pennies at the pump than enjoyment behind the wheel? They simply switched to an automatic as soon as it made financial sense, and never looked back. *Dual Clutch Transmissions, or DCTs, while mechanically more similar to a manual transmission, offer much the same driver experience as an automatic, so I'm lumping them in the same two pedal category here. There's a running joke that manual transmission cars are harder to steal, because so few people can drive actually drive a stick today. Except, it’s not always a joke. As a result, manufacturers are compromising. Even cars like the Focus RS (above), a manual built specifically to cater to the enthusiast crowd, come with a Stall Recovery feature. These days, when you're bad at driving a stick, if you kill the car, it will restart for you. Automatically. Putting a skilled driver in a modern manual is like handing da Vinci a paint-by-numbers book. 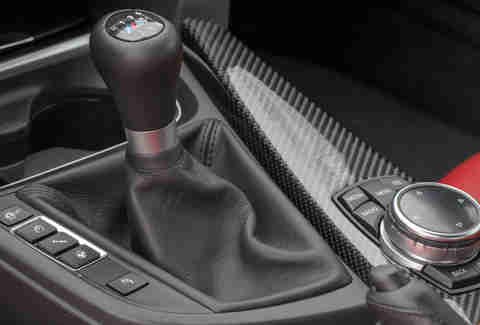 Clutches and gearshifts have also become muted right along with the rest of the car. Don't take my word for it: Maurizio Reggiani, Lamborghini's chief R&D maven, had a chat with Road & Track last fall about how clutches also became softer and gentler so as to appeal to the mass market. After two decades, rev-matching is so ingrained in my muscle memory that when I drive the new hotness from manufacturer X, my foot still blips the throttle -- even though the computer is already doing it for me. And that's a horribly deflating feeling. Because driving a manual with these automated functions seriously pales in comparison to the satisfaction derived from truly doing it manually. To call today's manuals the only choice for purists is irrational at best. I would argue this is a defensive response to the reality of automotive evolution. If purity means to maintain a laser-like focus on the original purpose, if purity means an unadulterated driving experience, then today's manuals are anything but. With their softened standards and absence of tangible performance gains, the modern manual is not the vital prerequisite it once was. 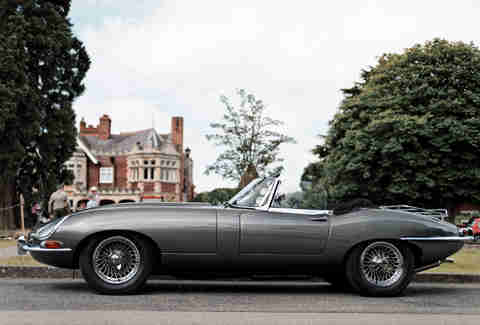 Instead, the clutch has become a status symbol, a way of proclaiming that "Yes, I am a car guy." It serves much the same function "My Other Car is a Bike" sticker on the back of a Prius. Make no mistake: automatics were -- and many still are -- the bane of the car guy’s existence. They so removed the driver’s foot from the control of acceleration that the most commonly used pejorative to describe one was "slushbox." 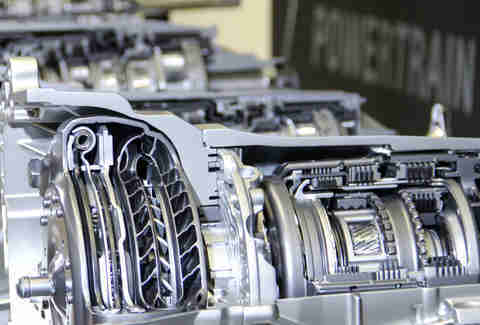 (In very basic terms, automatics use fluid to transfer power from the engine to the gearbox. In older automatics, if you gently hit the gas, the engine speed increases long before the car begins to accelerate. That fluid is literally slushing around, and the resulting feel is, well, slushy.) 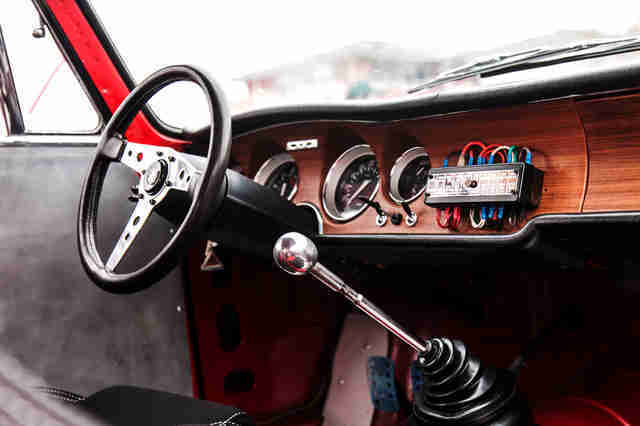 Combine that with primitive gear change mechanisms controlled mostly by hydraulic pressure, and you have a transmission that was not only slower and less fuel efficient than a manual, but potentially dangerous on a race track when it changed gears unexpectedly. If I bought a new car with a clutch, self-doubt would hit me every time I shifted: what joys did I give up just to stay loyal to this obsolete symbol of performance? But that was then. Today's best automatics use a clutch that eliminates that slushiness. Any time you're driving and not shifting -- for example, when taking a corner quickly, or even driving through a parking lot in first or second gear -- it feels like a manual. Additional computer-controlled clutches shift gears almost instantaneously, and at the exact time you want, so long as you’re the one controlling the computer. That's a monumental change and absolutely crucial to the driving experience. To put it another way, do you really think Ford and GM would pick such highly visible performance vehicles as the new F-150 Raptor and Camaro ZL1 to debut their jointly developed, heavy-duty 10-speed automatic if it didn't truly deliver a better driving experience than a manual? Leave the manual to the classics. We'll survive. My daily driver now is an automatic. Whenever I'm driving anywhere, do I miss rowing my own gears? Yeah, of course I do. After 20 years of practice, it's an awfully hard habit to quit. Whenever I drive an old school stick, I remember the good times. Then I drive something new with three pedals and I realize I can never go back; it's too fake. If I bought a new car with a clutch, self-doubt would hit me every time I shifted: what joys did I give up just to stay loyal to this obsolete symbol of performance? If you want to find a parallel, think back to how your dad felt when carburetors went extinct. Sure, everyone can drive an automatic, but if it's one of the good ones, it can be incredibly rewarding -- if you learn how to do it right. Learn the cadence of a transmission with enough gears for a Vin Diesel movie. Retrain your fingers to reflexively toggle the paddle shifters. Mastering paddle shifters is the new club. Anyone can shift a modern manual well. How many are truly mastering the newest automatics? Aaron Miller is the Cars editor for Thrillist, and can be found on Twitter. He's perfectly happy to drive older cars with "real" manuals, just don't tell him the new ones are an acceptable substitute.